Attention to detail and trained qualified installers are the key components when it comes to a quality eavestrough, soffit, fascia, and siding job. A quality installation will not only look great, but will function the way it was intended for a long time. At Dr Roof our expert installers use state of the art equipment and quality materials to ensure your project will be completed to your satisfaction. 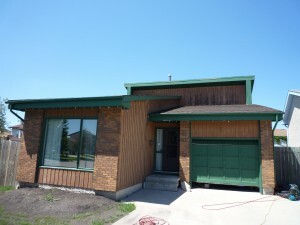 Dr Roof provides their services throughout Winnipeg and the surrounding areas. 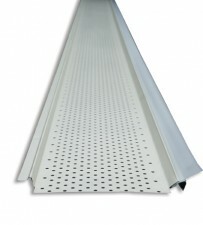 New continuous 5” pre-painted aluminium eavestroughs can help beautify your Winnipeg home and help solve your drainage problems. 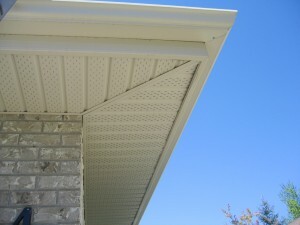 Eavestroughs are a critical component to proper water management around your home. A poor trough installation or settling of your home can cause water to overflow or drain back towards your foundation causing basement leaks and erosion problems. It’s important to have the correct amount of downpipes at the correct locations to ensure proper drainage. This can be difficult to achieve depending on the natural slopes of the house and the location of driveways and sidewalks. Dr. 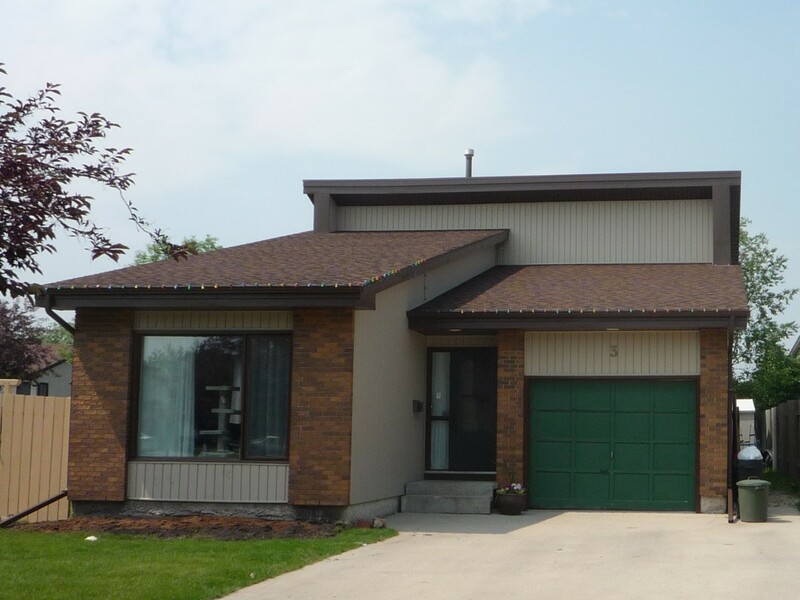 Roof has been installing eavestroughs and solving drainage problems for over 15 years in Winnipeg and the surrounding Manitoba area. 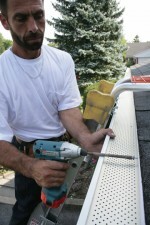 Gives us a call and let us help you solve your eavestroughing needs. Your eavestroughs also require constant maintenance to ensure downpipes aren’t blocked by leaves, twigs and other debris like tennis balls and toys. In some heavily treed areas this can mean cleaning the troughs 4 or 5 times per year. With the installation of our Gutter Clean system, routine maintenance of your new eavestrough is greatly reduced and in some cases totally eliminated. 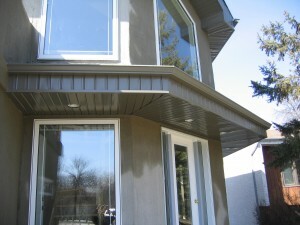 Prepainted aluminum soffit & fascia is a great way to beautify your Winnipeg home while also making it maintenance free. 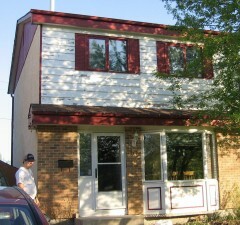 Tired of looking at peeling paint or having to paint every year or two? Let Dr Roof give you a quote on cladding your wood soffit and fascia. Not only does Dr Roof provide an installation that will make you proud of your home, but your neighbours will appreciate the new appearance as well. 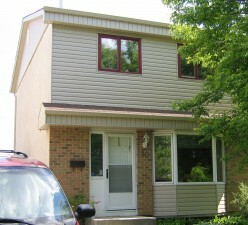 Vinyl siding is available in a multitude of colors and styles. 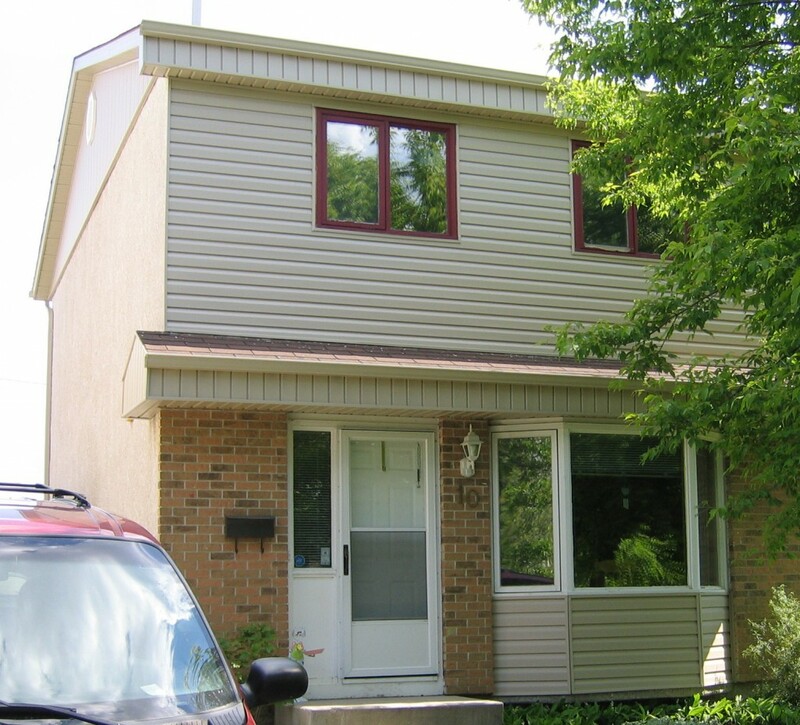 By installing vinyl siding on the gable ends or replacing the old peeling siding on the front of your house we can help transform your home and make it maintenance free at the same time. It’s amazing what a difference it can make.